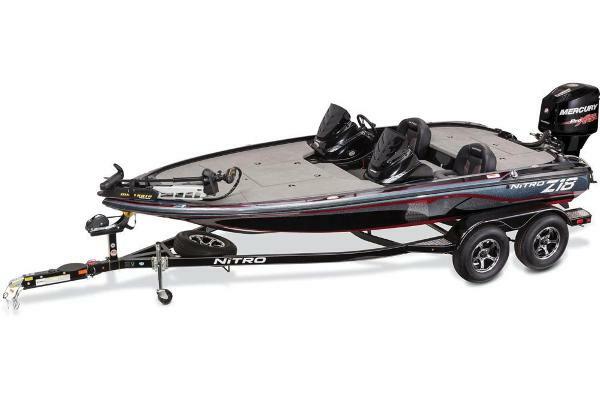 2015 Nitro Z-6, Nimble and quick, the Z-6 is much more than an entry-level fiberglass bass boat. 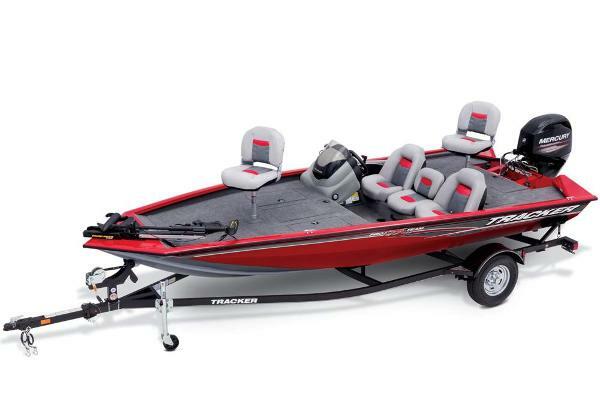 In fact, it has much more in common with its larger siblings in the Z-Series than it does with other boats in its size class, including great holeshots and incredible overall performance. 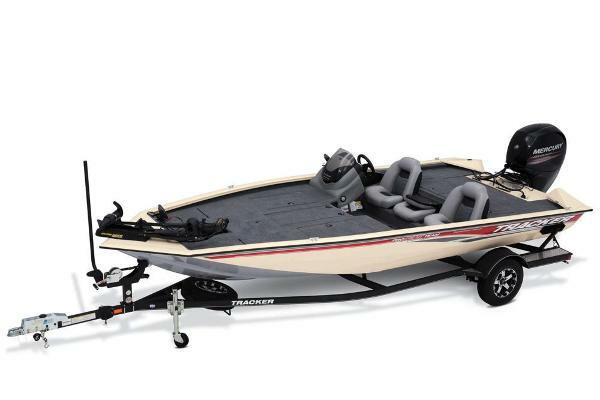 With estimated speeds of up to 55 mph and a 12° variable deadrise hull, it gets you to and from your tournament hot spot in dry comfort. 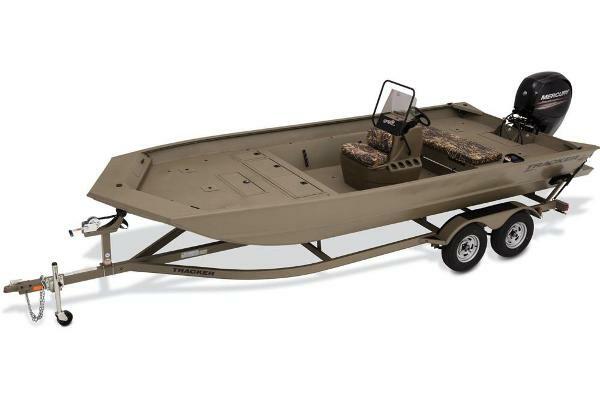 Inside the hull, you'll find the structure and flotation that speaks volumes about NITRO's commitment to quality. 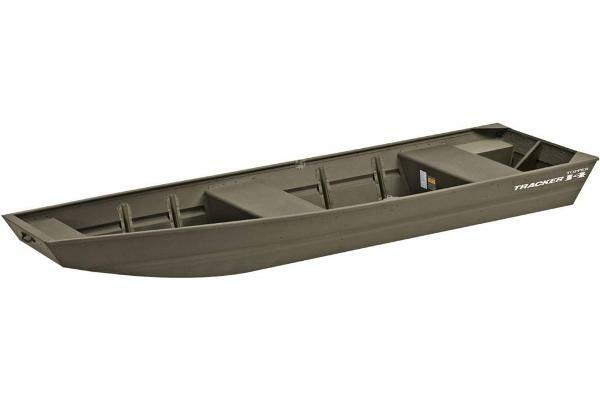 A transverse & longitudinal fiberglass foam-filled stringer system and the full-width fiberglass-encapsulated composite transom ensure safety and durability. 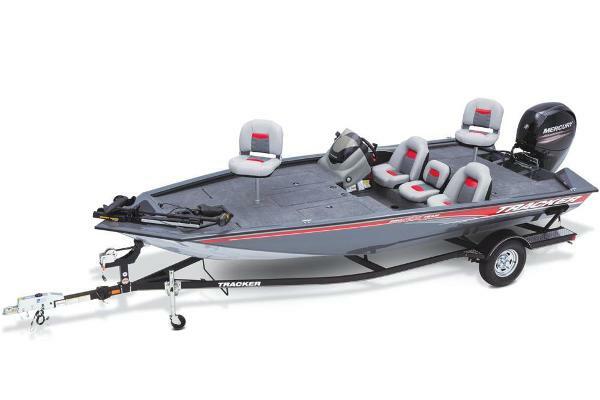 The interior is perfectly appointed for either both a tournament run or a lazy afternoon with a buddy on the lake, with loads of storage, tilt steering, and redesigned lighting and console systems-plus huge casting decks fore and aft. 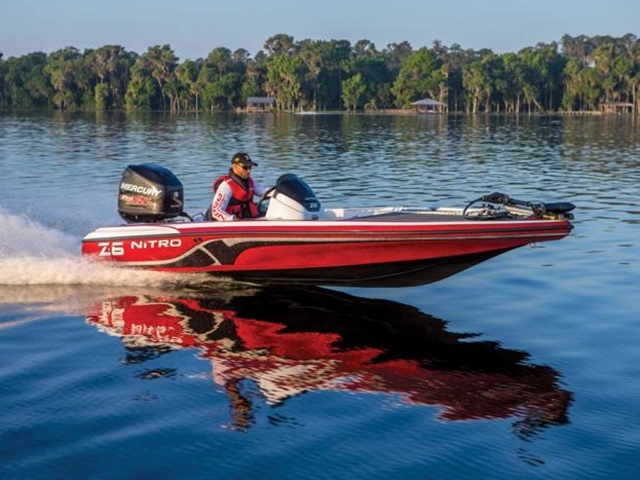 And on top of this extreme quality and performance, the NITRO Z-6 offers the finest value in the industry for boats in its class. 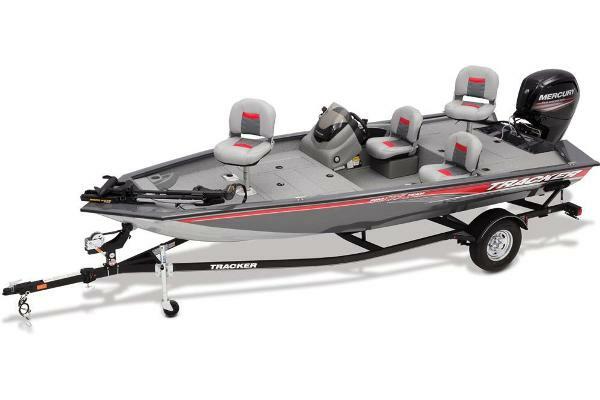 Take your first step toward the top of the leaderboard with a Z-6. 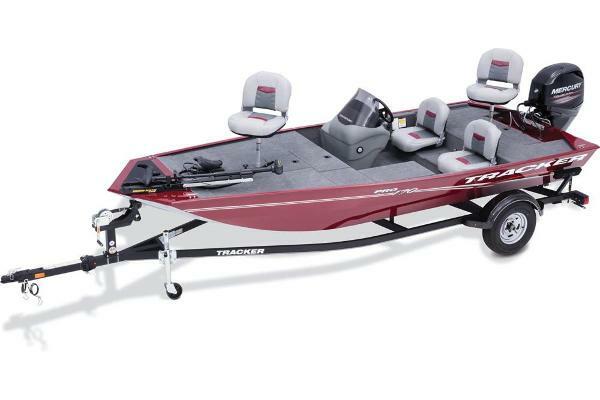 It comes complete with a Mercury® 115 ELPT OptiMax and a custom GALVASHIELD®-protected trailer. 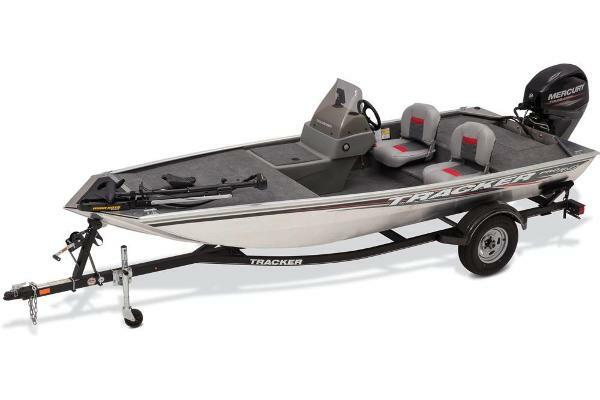 2015 Sun Tracker Bass Buggy 18 DLX, The BASS BUGGY 18 DLX is designed for three things: Family, Fishing, and Fun! 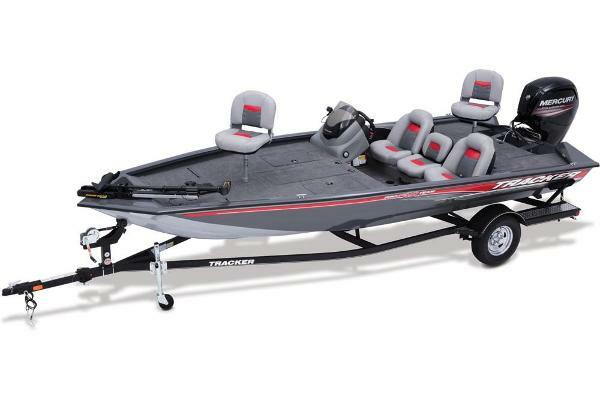 The spacious deck sports 3 fishing positions-2 fishing chairs up front and 1 astern, both with tool, rod, and drink holders, and 2 livewells to keep your catch healthy. And when it comes to comfort, it can't be beat. 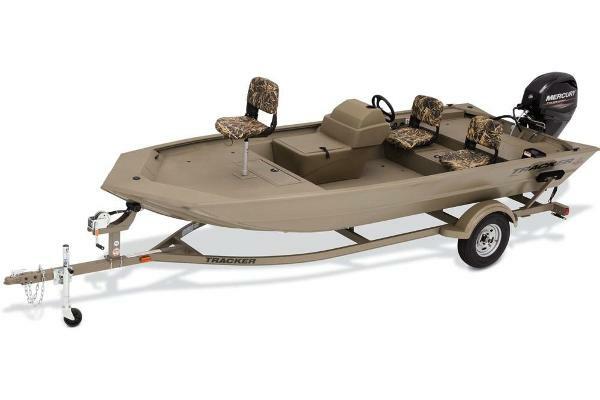 The plush, hand-stitched upholstery throughout is marine-grade and UV-resistant, and offers huge storage possibilities underneath. 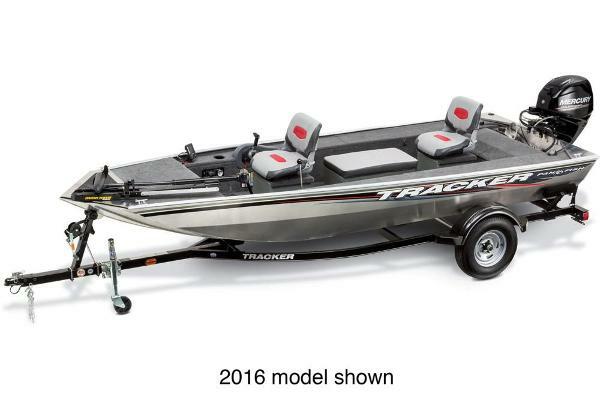 The dual-latching gates open inward for safety and convenience, and the new easy-to clean vinyl flooring is very fishing friendly. 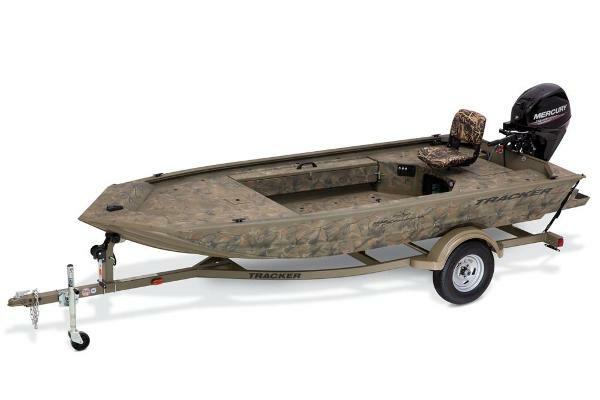 Shipped standard with a Mercury® 40HP ELPT FourStroke BigFoot, the BASS BUGGY 18 DLX makes cruising the coves a pleasure. 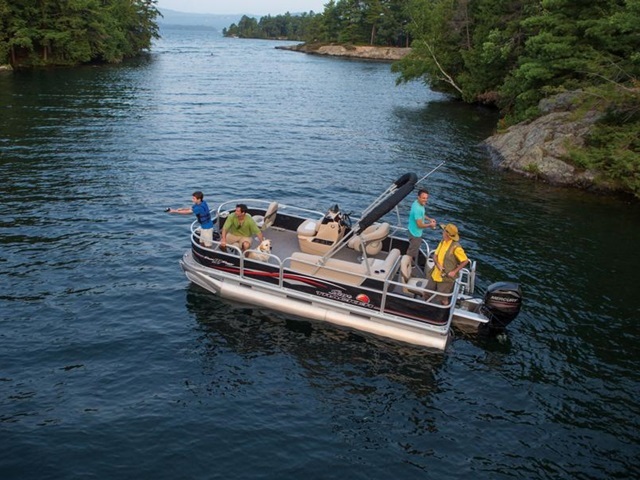 And on top of it all, the 10+Life warranty includes a 10-year bow-to-stern warranty plus a limited lifetime structural and deck warranty.